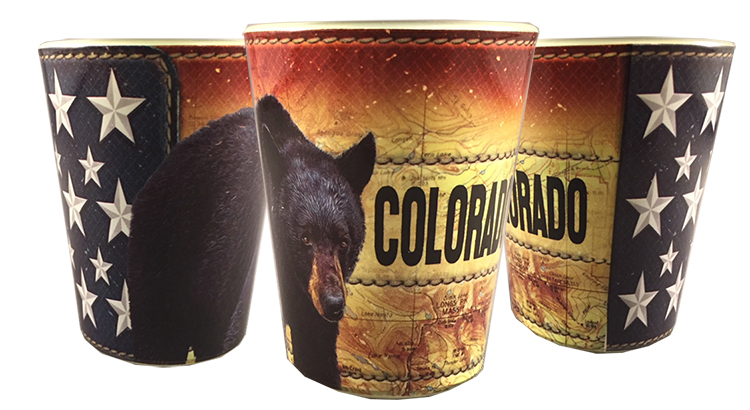 The Americana Bear Shot 1.5oz is a beautiful Coloradoan design. These 1.5 oz shot glasses are an ideal gift and giveaway option for trade shows, cafes, bars, novelty shop, company events, birthdays, weddings, and more. Standard bar size and weight, the imprint patch area (with small gap) covers the majority of the face.